A 21-year-old woman says she was humiliated and left shaking after being told to “cover up” or she would be kicked off an airplane when she boarded wearing a vest-like crop-top and high-waisted trousers. Her posts about the incident, including a photograph of the outfit in question, quickly went viral, as users weighed in on whether the crew were right to demand she cover up. The story featured in British national television and newspapers. 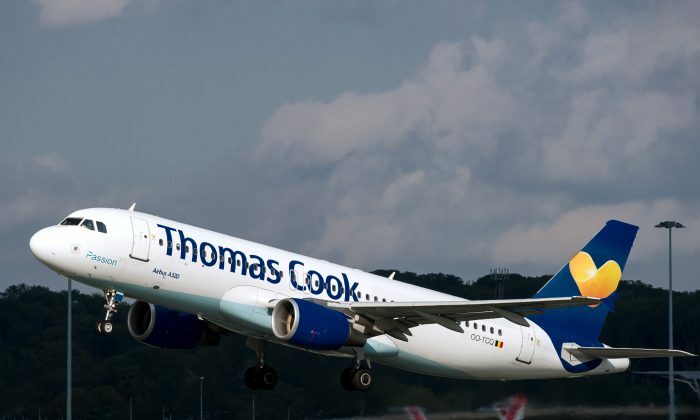 The airline, Thomas Cook, has since apologised for the way it handled the incident, although appeared to fall short of specifically declaring whether her outfit fell foul of company policy. O’Connor claimed that the airline staff had been “sexist and misogynistic” because they did not ask a male passenger in shorts and a vest to cover up. No-one said a word at that point, according to O’Connor. “The staff said nothing to him,” she wrote. She said that the staff made comments about the incident over the public speaker system. Eventually, she put on a jacket belonging to her cousin, who was also on the flight. O’Connor, however, wasn’t so traumatised that she didn’t wear the exact same outfit on the return flight—this time without being asked by the crew to cover up. She posted on social media about the incident once she was back in the U.K.
She said on her Instagram account that she is proud for having stood up for herself. O’Connor points out that her black crop top and high-waisted trousers were part of last year’s summer clothing line in high street retailer Zara. Her social media posts quickly kicked up a storm of comments, with many suggesting she could have simply put on a jacket without fuss for the sake of the other passengers. O’Connor also received messages of support. The airline has now apologised to her.